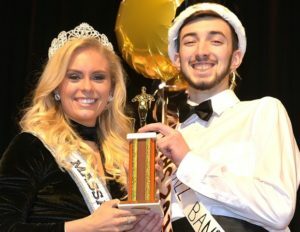 Miss Massachusetts Teen USA 2018, Lexi Woloshchuk, presents the Mr. MHS 2018 trophy to the newly-crowned Austin Wise, who competed as Mr. Jazz Band. 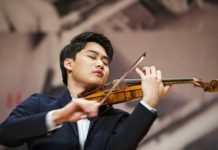 Photos/Ed Karvoski Jr. 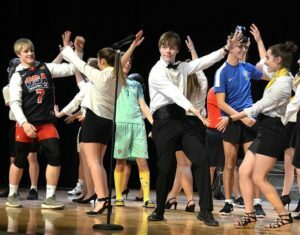 Among the contestants presented with trophies were a couple of MHS’s musically-talented young men. 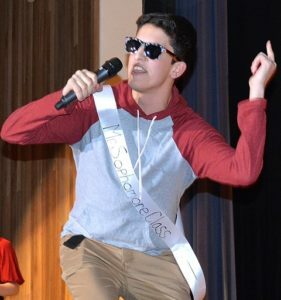 Crowned Mr. MHS 2018 was Austin Wise, Mr. Jazz Band. Named first runner-up was Josh Taylor, Mr. Mixed Chorus. 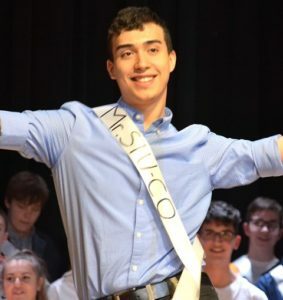 Recognized as second runner-up was Austin Cabral, Mr. Senior Class. Other semi-finalists included Alex Morse, Mr. Drama Club; Dan Pimentel, Mr. Sophomore Class; Gabe Pimentel, Mr. Orchestra; Devin Raun, Mr. Lacrosse; and Miguel Lopez Rivera, Mr. Student Council. 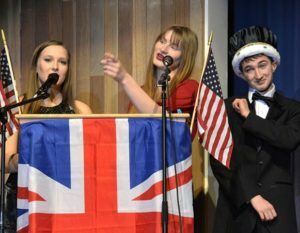 Bantering with the audience are (l to r) co-hosts Michaela Zouharis and Rose Schade along with Mr. MHS 2017, Brian Oram. 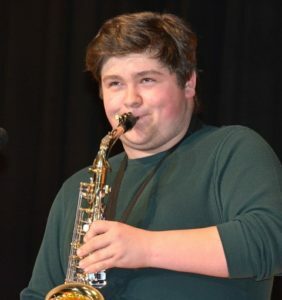 Josh Taylor, Mr. Mixed Chorus, plays a sax prelude before singing in the talent competition and ultimately gets named first runner-up. 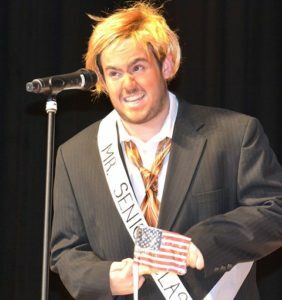 Austin Cabral, Mr. Senior Class., imitates President Donald Trump in the talent competition and ultimately places as second runner-up. Miguel Lopez Rivera, Mr. Student Council, accepts a judge’s dare to dance as contestants introduce themselves. Dan Pimentel, Mr. Sophomore Class, reaches the stage after singing among the audience, judges and co-hosts.